9 Mar. By Evan Joanette, policy manager for competition and markets, Consumer Council for Water. Does the water market need a comparison site? 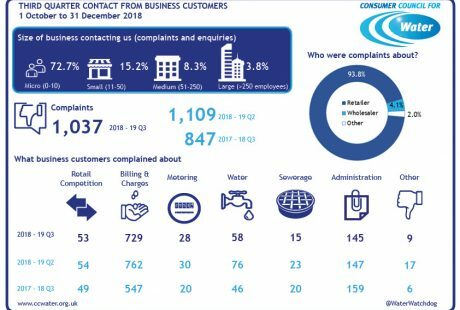 With as many as 98 per cent of customers on deemed contracts, the Consumer Council for Water (CCWater) has pledged to ‘qualitatively measure’ the experience of customers on such contracts to ensure they are not being disadvantaged. Poor communication between retailers and wholesalers and confusion over roles and responsibilities has left some major water users unable to obtain Trade Effluent Notices (TENs) since the market opened, a Water.Retail investigation has discovered. 26 May. 3 min read.